- Data out of sync. As for copying photos from Android to iPad, you can rely on a third-party tool to solve the photos transfer problem. The tool I'd like to recommend you is the Coolmuster Mobile Transfer. 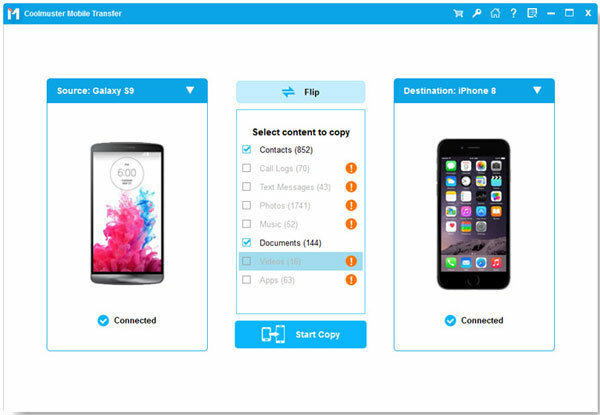 Designed as a professional phone to phone transfer tool, it makes it easy to transfer all Android photos, as well as contacts, SMS, videos, music, apps, etc. from Android to iPad Pro/Air/4/mini/3 in one click. It also supports other Android, iOS and Symbian devices. The following guide indicates the detailed instructions on how to copy photos from Android to iPad. It provides you with free trial version, so why not give it a try for free? How to Transfer Pictures from Android to iPad? 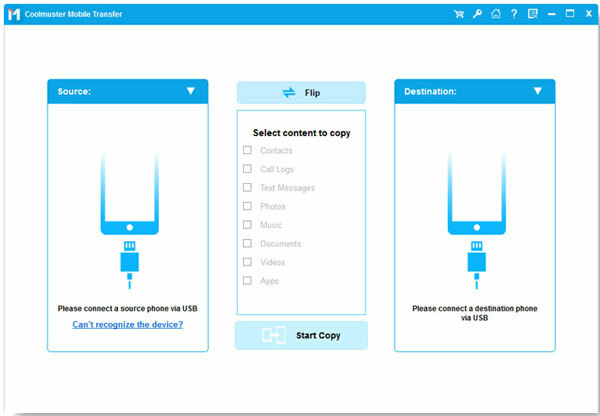 After downloading and installing, you should launch the Android to iPad transfer program - Coolmuster Mobile Transfer on your computer. Choose "Phone to Phone Transfer" mode and click "Start". Connect your Android device and iPad to the computer. Then, the two devices will be recognized by the program and displayed on the interface side by side. All transferable file types are listed on the top. You should check the "Photos" category. Then, start the photos transfer from Android to iPad by clicking the transferring icon in the middle. When the photos transfer ends, you should click "OK" to finish it.